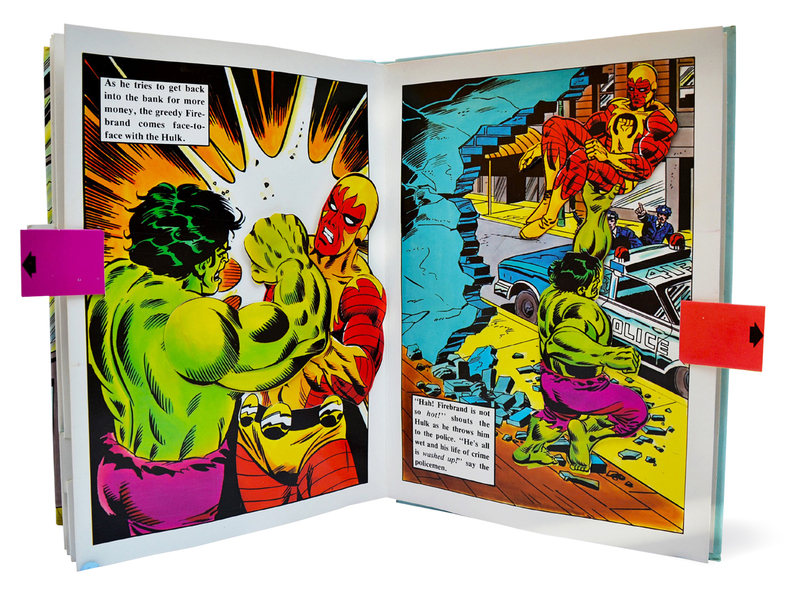 Piccolo’s The Incredible Hulk pop-up book (1980) | 'TAIN'T THE MEAT… IT'S THE HUMANITY! 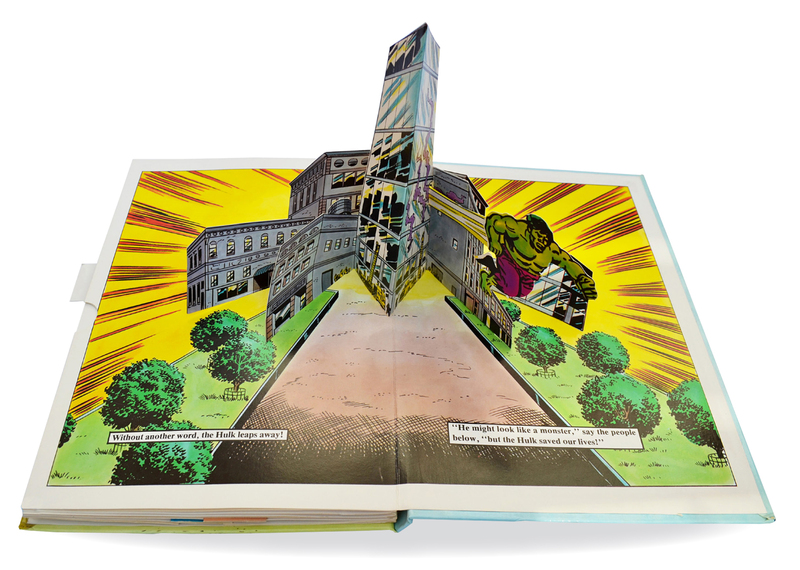 A few months ago I posted an article about Piccolo’s Spider-Man pop-up book from 1980. The post received a fair amount of traction so I though it might be fun to take a closer look at another pop-up from the same publisher featuring another Marvel Comic’s character. 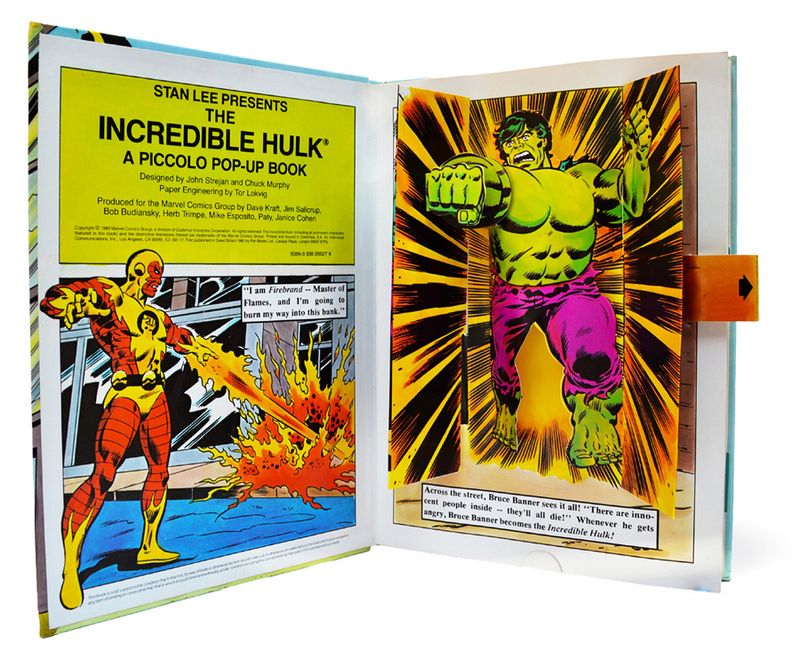 The Incredible Hulk pop-up book was published the same year as the Spider-Man book, measured 8 x 11 inches and featured six page spreads under hard covers. 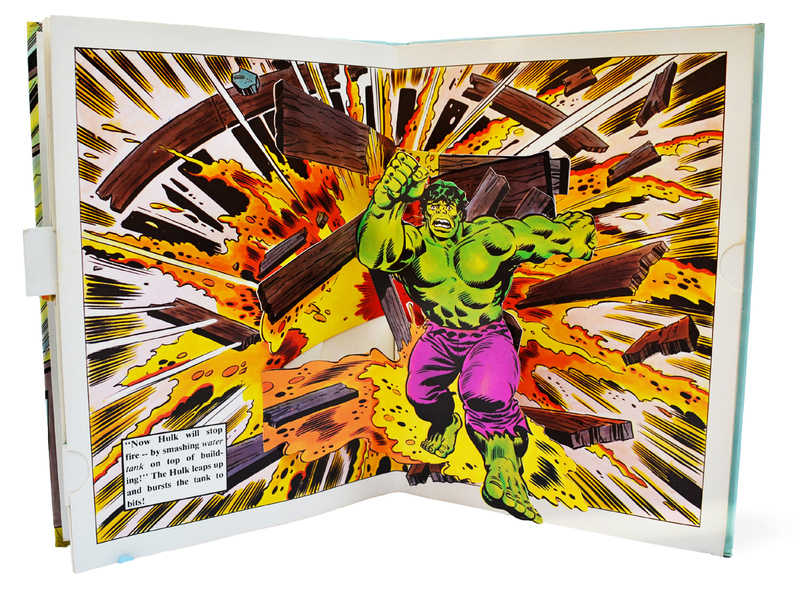 The story – such as it is – depicts The Hulk in battle with the villainous Firebrand while simultaneously rescuing innocent bystanders trapped in a bank. 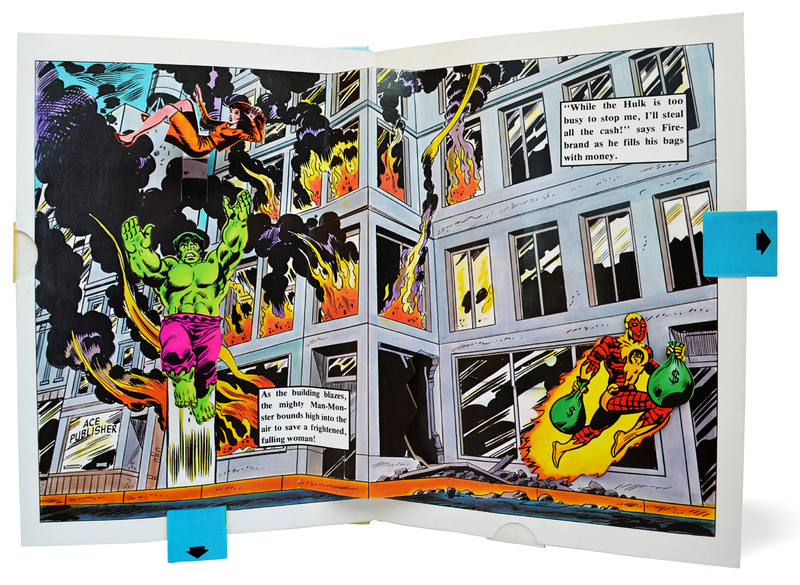 Marvel fans will recognise the familiar names on the credit pages: editor Jim Salicrup and artists Bob Budiansky, Herb Trimpe and Mike Esposito – the same creative team behind the Spider-Man pop-up book (I’ve no idea who Paty is though!). Paper engineering for the book was created by established pop-up artist Tor Lokvig, who also worked on several Disney books in the 1980’s. The pop-ups are all fairly generic, with most of the pages featuring a pull-tab that adds motion to the images. The down tab on the image above, for example, makes The Hulk jump up and catch a falling woman. 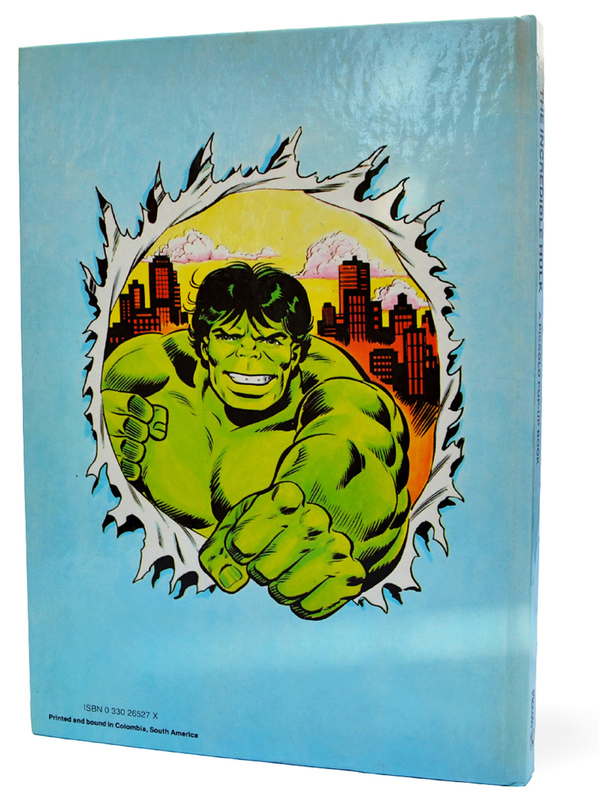 Pulling the down tab on page 5 makes The Hulk ‘appear’ behind a door. 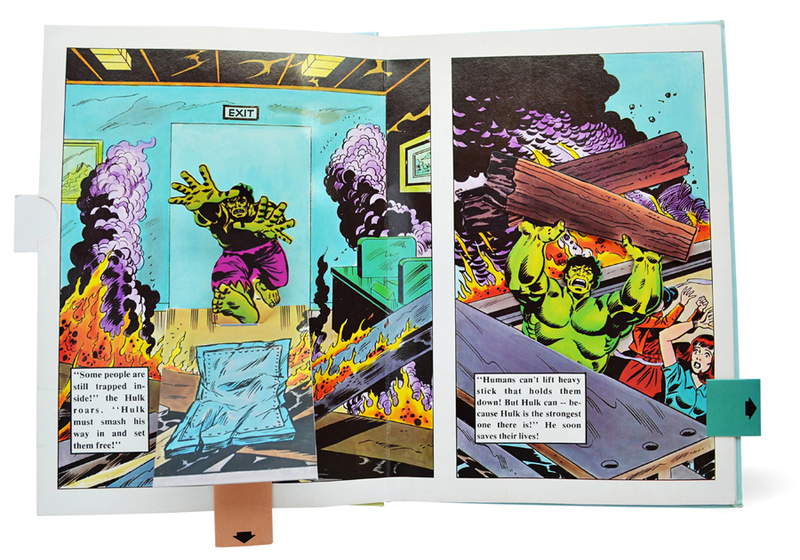 This is the most dramatic pop-up in the book, with The Hulk and the wooden beams floating 3 inches above the page. Pulling the left hand tab on page 9 makes The Hulk ‘punch’ Firebrand. And the book ends with The Hulk literally jumping out of the story. By today’s standards the pop-ups featured in this book are pretty tame but it still retains a certain appeal. 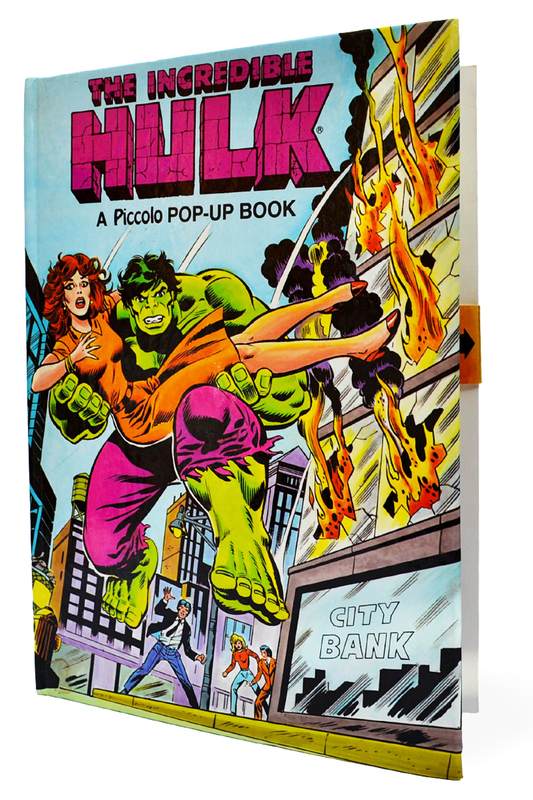 Piccolo published six pop-up books during the early Eighties: three featuring Spider-Man and three with The Hulk. The second to feature The Hulk – “Circus of Crime!” is here, while the second book starring Spider-Man – “Attack of The Tarantula!” – is here. If I can track them down I’ll feature the rest sometime in the near future.